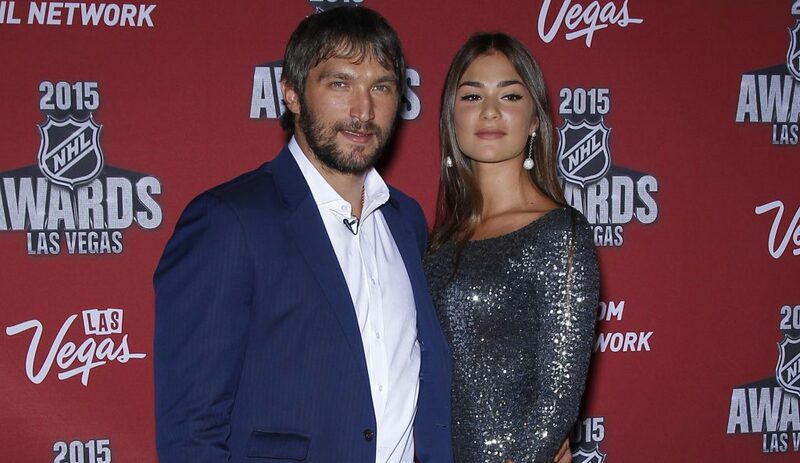 In August last year, hockey player Alexander Ovechkin (31) and his beloved Anastasia Shubskaya (23) got married. But it became known after the newlyweds posted the photo of the wedding rings - the wedding (registration of marriage) was secret. Only relatives and close friends of the couple were invited. And now, the wedding anniversary is coming, and the couple decided to throw one more wedding, this time magnificently and loudly. The celebration will be held on July 8th. 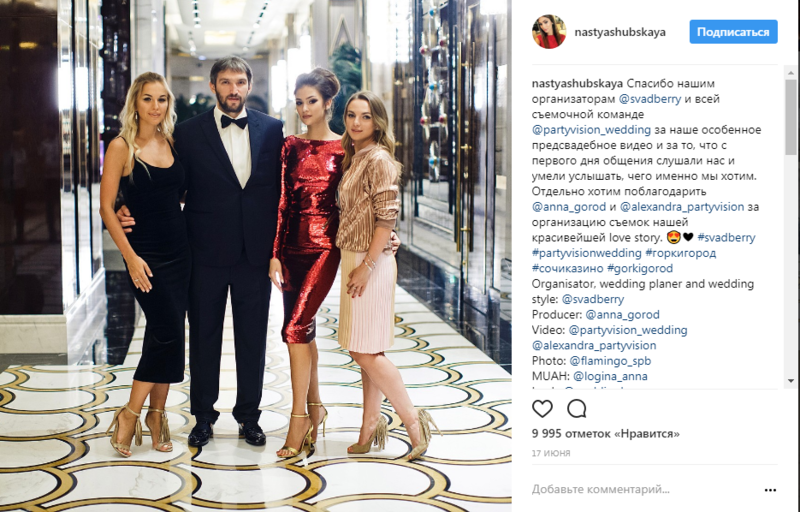 It is known that a whole team of professionals is engaged in the wedding, and the romantic photoshoot and video story of their acquaintances were filmed in Sochi. A wedding dress for Anastasia sews the Julia Prokhorova's brand Beloe Zoloto. "Thanks to our organizers and the whole team for our special pre-wedding video and for listening to us from the first day of the conversation and knowing how to hear what exactly we want," Anastasia wrote on her Instagram. 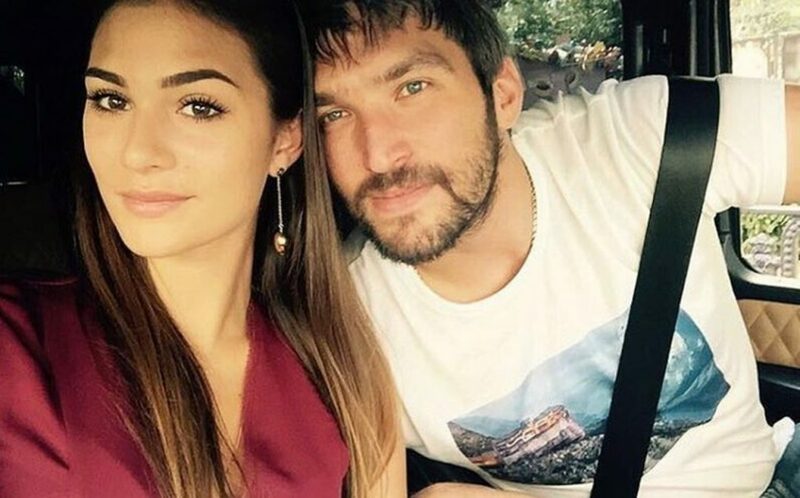 And yesterday the hockey player posted photos from his bachelor party - another confirmation that the wedding is coming soon. Among the guests were seen hockey player Dmitry Orlov (45), basketball player CSKA Vitaly Fridzon (31) and a famous performer T-killah (28). The last one wrote on his page: "A friend has a bachelor party! We send our little brother on a long voyage! " 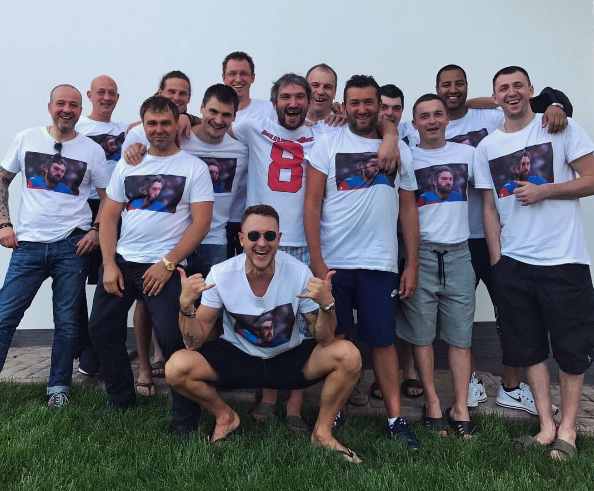 And while the hockey player celebrated a bachelor party, Nastya had fun with her friends at the girls' party. The girls had a party at Modus the restaurant. Among the guests were the sisters of the bride - Maria and Anna Nahapetovs. 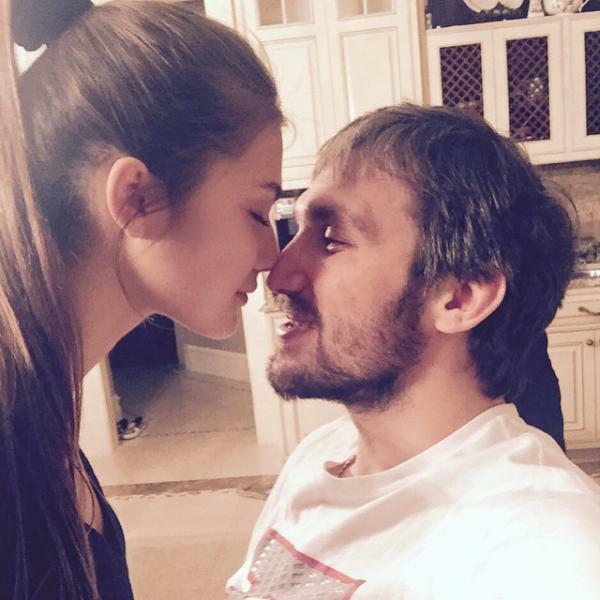 Recall, in mid-February 2015, the hockey player shared the first photo with Nastya. And after a couple of months they already went together for all social events. 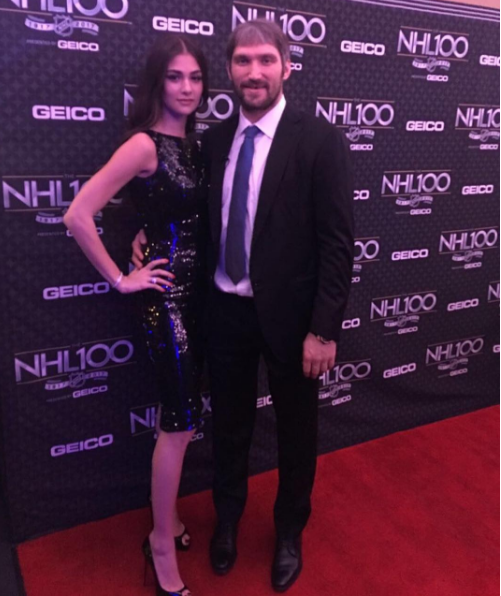 On September, 2015 Ovechkin proposed to his beloved Anastasia.